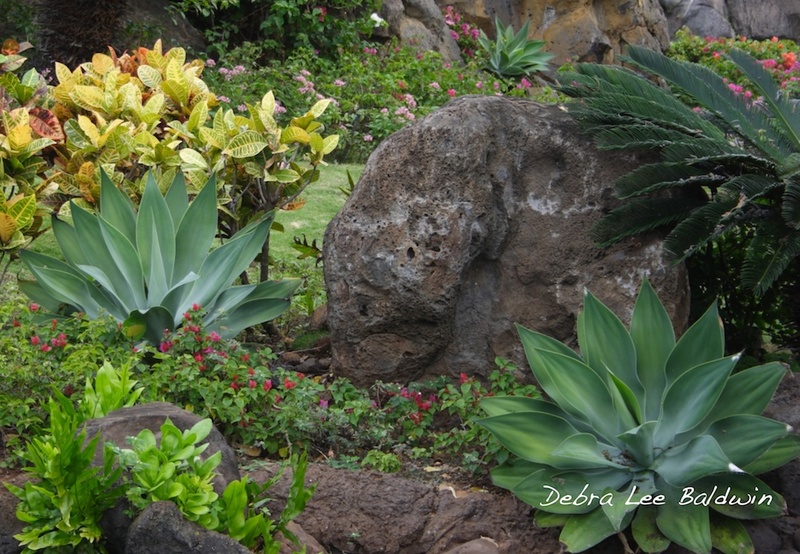 Don’t be surprised if after a good rain, your succulents look brighter and more vibrant. Here’s how rain benefits succulents: It provides dissolved minerals and washes away dust that inhibits photosynthesis; it dilutes and flushes salts and harmful chemicals that have built up in the soil from tap water; and it provides nitrogen essential to growth, especially during electrical storms. It’s odd but true: Lightning nourishes plants. 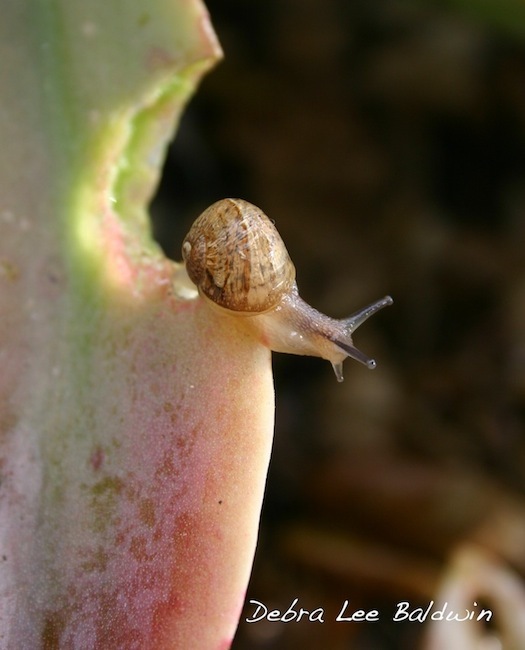 Succulents do best in regions where annual rainfall is less than 25 inches. Excessive amounts can cause roots to rot, especially if soil stays soggy. Prepare for this by growing the plants in coarse, fast-draining soil, on a slope or atop a berm. My blog post, Succulents and Too Much Rain, A French Solution describes a French botanical garden’s simple but effective method of protecting its cactus collection. Of all succulents, cacti seem to respond the most dramatically to rain. No surprise; they’ve been waiting all year for it. If they weren’t rooted, they’d be dancing. Opuntia (paddle) cacti that have been doing a whole lot of nothing for months rapidly grow new pads that can double the size of a young specimen in a matter of weeks. It’s as though the pads were water balloons being squeezed; the resulting bulge is a new leaf. And then there are ribbed cacti…those that look like round or columnar accordions. You can almost hear their crenellations pop and stretch as they plump with water. They’re such simple plants—not much more than balls or bats—and yet the way they grow is amazing. The process of becoming engorged with rainwater exposes more of their skin to the sun, enabling photosynthesis, which equals energy, which in turn fuels new growth. In the heat of summer, those same ridges and valleys deepen, shading and protecting the plant. Rainstorms are often followed by clear, windless nights, during which the temperature may drop near freezing or below. Many succulents are frost tender, meaning that at 32 degrees, the water in their tissues crystallizes, expands, and bursts cell walls. This can turn leaves to putty, irreparably damaging the plants. You can gain several life-saving degrees by covering your succulents with sheets, lightweight fabric, or frost cloth. But not plastic, which by trapping moisture and blocking light and air can cause more damage than it prevents. If your succulents have been damaged by frost, they’re not necessarily goners. Learn more about this in my recent posts: Oh, No, My Succulents Froze! and Frost Damaged Succulents? Here’s What to Do. Notice the damaged tips on these aeoniums? No need to do anything. In a few months the older leaves will dry and fall off, and the rest will be hidden by new growth.